The Temple of Diana, on the Weston Park Estate with extensive views of Capability Brown Parkland. Property 67: The Temple of Diana, on the Weston Park Estate with extensive views of Capability Brown Parkland. 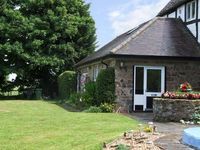 Stylish cottage on the Weston Park Estate which is perfect for couples on romantic short breaks. Property 70: Stylish cottage on the Weston Park Estate which is perfect for couples on romantic short breaks. Property 76: The Knoll Tower is a one-of-a-kind holiday cottage built in the late 1800s. We really enjoyed our stay with Charles. A great property in the countryside.